Everybody would like to look younger and more attractive than they truly are. Beauty Institute annevanaken believes that every woman and every man can look radiant. As renowned beauty institute, we have already been a household word in The Hague and surrounding for almost 40 years. 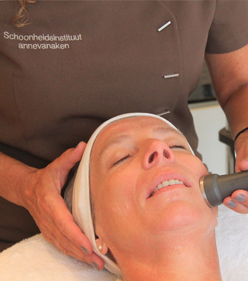 The first time you contact us or enter our institute you will notice that, at annevanaken’s, we handle everything just a bit differently, from the lovely interior with a pleasantly calming atmosphere, to the personal attention and the innovative procedures using the newest equipment. 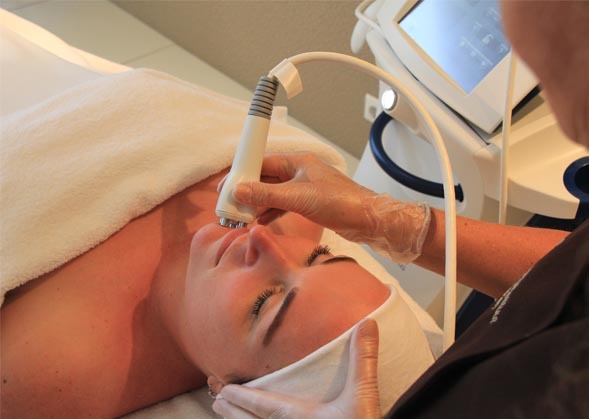 We are groundbreaking when it comes to skin improvement and skin rejuvenation! Make an appointment or stop by and experience it yourself! Would you also like to have a tighter, younger looking skin and undergo a pleasant treatment without side effects?Beauty Institute annevanaken is now offering you the revolutionary Venus Freeze Plus: the latest technique from Canada; Tightening and contour improvement for the face, throat and body developed by the best engineers. 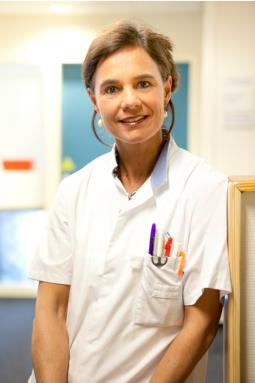 We work together with Dermatologist Jacqueline Vink from the HMC. Beautiful skin and a younger look: who doesn’t strive for that? Using the latest techniques and top quality products, we focus on rejuvenating your skin. In a relatively short time your skin looks, not only more beautiful, but younger as well. Your skin structure improves, the fine lines and wrinkles diminish and your skin looks firmer. The latest anti-aging skin treatment methods from Beauty Institute annevanaken enable you to look younger again. 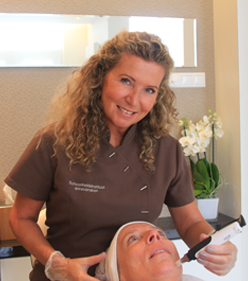 For improving your skin annevanaken offers you specialist procedures which achieve optimal results. The safety and effectiveness of the treatment is paramount. Together wewill prescribe a plan to make your skin healthy and beautiful again. You will be treated with methods that have been scientifically researched and products which have been thoroughly tested. 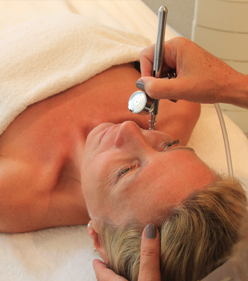 “With the latest skin improving treatments we will work together to achieve beautiful and healthy skin”. Surplus hair growth can be very bothersome. Would you like nice smooth skin and do you wish to always look well-groomed? Laser hair removal or waxing are the methods we use to remove surplus hair growth. 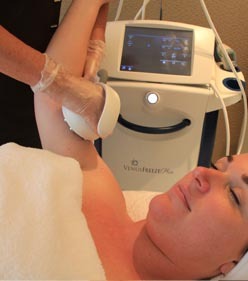 We use the LightSheer Diode Laser for permanent hair removal. It is approved by the FDA (Food and Drug Administration). 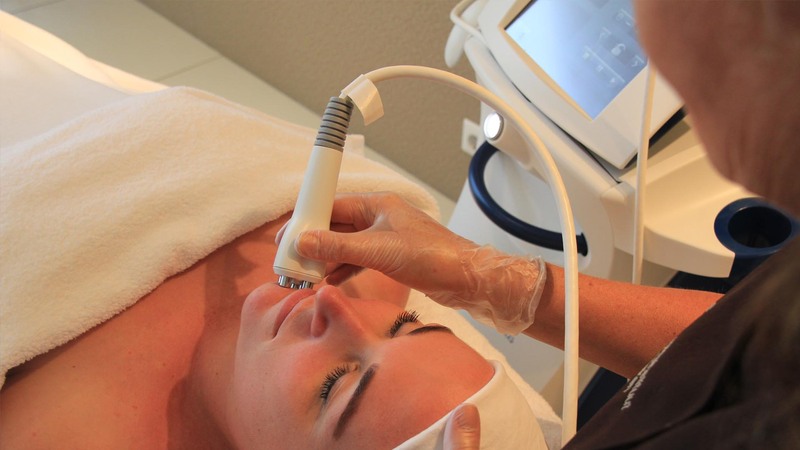 Clinical studies have shown this laser methodto be one of the most effective methods. PMU is the right choice for anyone who wishes to look well-groomed 24 hours a day but has little time left over to take the effort. Also when you are allergic to normal make-up or (temporarily) have no hair growth, PMU is the solution: perfect under all circumstances, also when doing sports, in the sauna and in the swimming pool. Your PMU always stays perfectly in place. 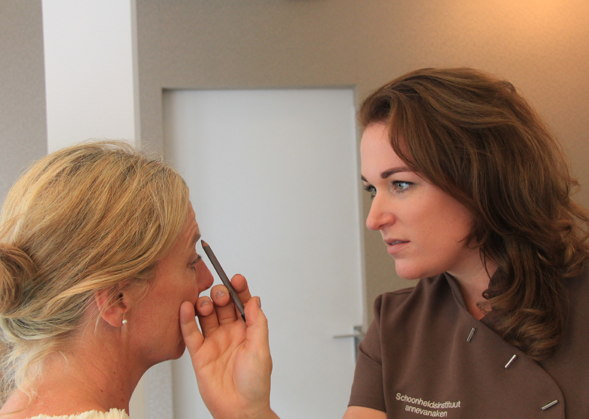 annevanaken works together with a PMU specialist. During a personal intake interview we run through your wishes in depth. You will then be treated using pure and high-quality pigments. The application of PMU isprecision work and must be done by a professional and, at annevanaken’s,we certainly possess the required knowledge and experience. Is your desire to look well-groomed all the time? At Beauty Institute annevanaken we strive for perfection right down to the smallest detail. I have been visiting this salon for 25 years now and that fact alone should actually speak for itself. There is no reason to be found and I mean absolutely no reason which leads me to give any minus points. I entered the salon 25 years ago with skin problems that disappeared already after several treatments. I had been suffering from it for a very long time and within a few monthsit was cleared up. Since then I’ve (almost) never been anywhere else. After renovations the salon isa totallypleasant place for treatments. Friendliness and professionalism, absolutely fabulous! Arranged another treatment today, delightful. Always awesome, every time. Hygienic, super professional and friendly. I feel pampered over and over again each time and come out feeling pepped up. Very content! Always an explanation about the treatment and the products! Advice is also given and always with a smile! It does me good! A marvelous salon, pretty and an oasis of calm. Always friendly and unconstrained. Even if I can’t come often, you always greet me as if I come on a weekly basis.Super. It’s truly enjoyable. You are real professionals. Een prachtige salon, schoon en een oase van rust. Altijd vriendelijk en ongedwongen . Ook al kan ik niet vaak komen, jullie ontvangen mij altijd alsof ik wekelijks kom. Super. Het is echt genieten. Jullie zijn professionals.